Sheet Moss is a flowers designers favorite that they use to cover up the foam in flower arrangements. Sheet Moss is air dried, which renders it dormant. Sheet moss is harvested in thin sheets which when rehydrated, resumes its original shape. Its unique texture an structure is primarily used at the base of flower arrangements. Pieces of the moss can also be placed throughout a flower bouquet or arrangement creating an unusual nesting visual effect. Each box contains approximately 10 pounds of Moss. Sheet Moss is a flowers designers favorite that they use to cover up the foam in flower arrangements. Sheet Moss is air dried, which renders it dormant. Sheet moss is harvested in thin sheets which when re-hydrated, resumes its original shape. Its unique texture an structure is primarily used at the base of flower arrangements. Pieces of the moss can also be placed throughout a flower bouquet or arrangement creating an unusual nesting visual effect. 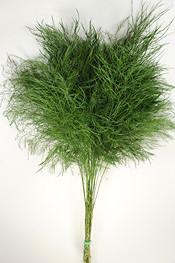 Long lasting green that will last 5 -8 in water, it is packed approximately 10 pounds to the box. It is available year round. We always suggest receiving these flowers 2-3 days before the event, that way the flowers can get re-hydrated and ready for your bouquets or arrangements. 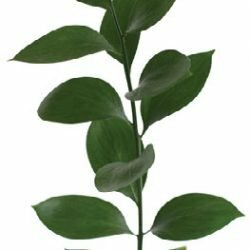 Upon receiving the greens simply spray the foliage with water and cut the bottom of the stem (1 inch) and leave them in cold water.